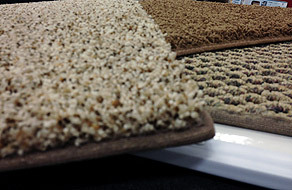 Carpet provides warmth, softness and sound absorption. It is easy to maintain and durable and comes in a variety of colors, patterns and textures. Carpet is traditionally found in living rooms, dens, bedrooms, stairs and recreation rooms. WM Dyck & Sons offers a variety of in-stock carpets for you to choose from for your next project and of course, if we don’t have it, we’ll order it for you. Our showroom has an impressive display of hardwood and laminates to choose from. They are both hard surface floor options and suitable for many of the same applications e.g. living rooms, bedrooms and even kitchens. 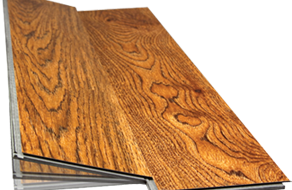 Hardwood is usually 3/4″ thick solid wood and has plank size options. Hardwood, unless engineered, cannot go below grade. However, laminates can be suitable for below grade installations. Laminate also has a variety of thicknesses and plank widths to suit your tastes. Cleaning and maintaining your hardwood or laminate floor is easily done with a damp mop. We also carry BONA floor care products for hardwood, laminate, tile and stone. Tiles have many uses – floors in kitchens, bathrooms and laundry rooms are just a few examples of the versatility of tile. They are suitable for both indoor and outdoor applications and have unique methods of installation for each. Be sure to use the correct setting materials for each project. 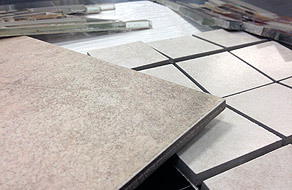 Today’s vinyl flooring comes in a variety of choices: 12FT, 13² or plank & tile format. Vinyl is suitable floor surface for kitchen, bathroom, laundry and mud rooms. Vinyl is very durable and provides the ideal surface for areas subject to heavy soiling and moisture. WM Dyck & Sons offers very competitive pricing on in-stock vinyls. 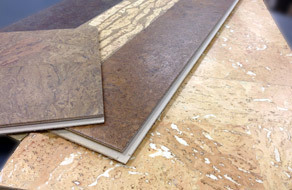 Cork is yet another floor option and is often popularized as a “green” or renewable product. Cork oaks are harvested by hand. The bark of the cork oak grows back leaving the cork oak in good health and able to be re-harvested. The cork is then ground, processed into sheets and baked in a kiln to produce tiles that are suitable for residential or light commercial use. Kitchens are a great location for cork due to its natural impact resistance. This ‘new’ product is making a strong presence in the flooring market. 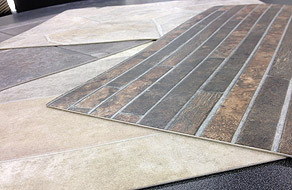 This vinyl flooring can come in plank and tile format. It has the same applications as regular sheet goods vinyl regarding location and mimics the look of real ceramic or real hardwood at a fraction of the cost. 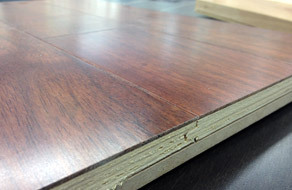 LVP and LVT are both very durable floor surfaces. An advantage of LVT compared to a typical ceramic is the warmth. You get the same look as a tiled ceramic floor but with the warmth of a vinyl! You can even grout it in some formats. LVP has variations in appearance and size – it can come in smooth, distressed, or hand look finishes. Both LVP and LVT come in glue-down (also known as dry back) and click versions. Thickness of products will vary from suppliers with the thicker variety being the click format.